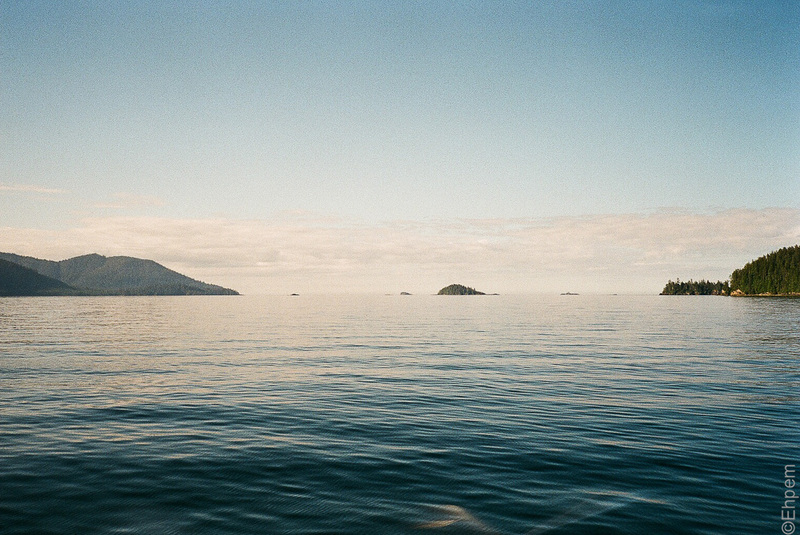 This post at 52Rolls is my third roll from my summer trip to Haida Gwaii, concentrating on areas of the north and west parts of Juan Perez Sound. There are a lot of images in the post that have not yet made it onto my blog, so please click through to 52rolls.net to see them. My summer Haida Gwaii trip aboard the Passing Cloud continues with images from the northern end of Gwaii Haanas. Others in this series on 52Rolls can be seen with this link. You can also find many more images from this trip shot with digital cameras on my blog (here). None of the digital ones have such a nice feel as these though. One very cool thing that recently came on-line is a “street view” of this area in Google Maps. The map below is of Hot Spring Island – you can navigate around the trails by clicking on the arrows though it works better if you choose to “View on Google Maps”. Thank you Rachel. Those film colours make me happy! More to come from my time aboard the Passing Cloud, but you might want to check the link to the digital shots I posted from last summer if you want a more complete sense of the place – all the wildlife and most of the cultural sites I shot only with digital. BTW, I enjoyed your blog post today. I don’t think I could manage one of those big cruises, though I was set up to be an expert along your same route on a 200 passenger vessel but had to back out. If I were made of money, I would be seeking out small cruises equivalent to the Passing Cloud around the world – Galapagos, places like that. It is a very nice way to go. Glad you liked it! Also the star cameo by G+G 🙂 The cruise was a bit much at times- mostly when getting off or on the boat, and the lack of decent educational stuff going on. A small cruise with good speakers sounds ideal, I’d better start entering the lottery now!